Calendar Contest Voting Still Open! While the period to submit your pictures for the 2018 ADOPT Calendar Contest has closed, you still have time to vote for your favorite pet picture(s)! Visit www.gogophotocontest.com/adoptpetrescue to vote for your favorite ($1 per vote) as well as to pre-order your 2018 ADOPT Calendar for $20. Voting is open through next Saturday, November 11. The top vote recipient will be featured on the cover, and the next 12 recipients will be featured on the months. You can also reserve a date during the year to feature your pet’s picture. Visit www.gogophotocontest.com/adoptpetrescue to enter your pictures, start voting, and pre-order your copy of the calendar today! 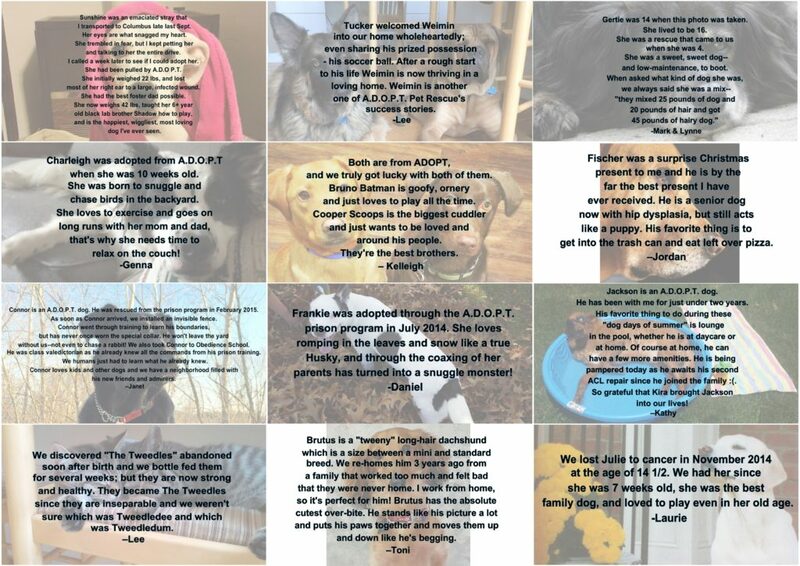 Buy Your 2017 ADOPT Calendar! Our calendar contest in July was a wonderful success!! 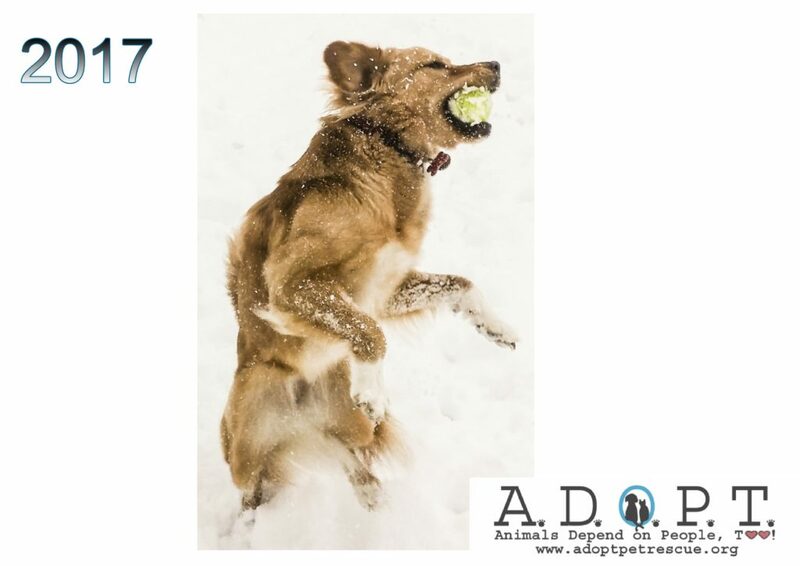 Thanks to all the participants – we ended up with some great pictures for our 2017 ADOPT Calendar! The calendar is now ready for purchase! You can buy yours for $20 by clicking the button below! 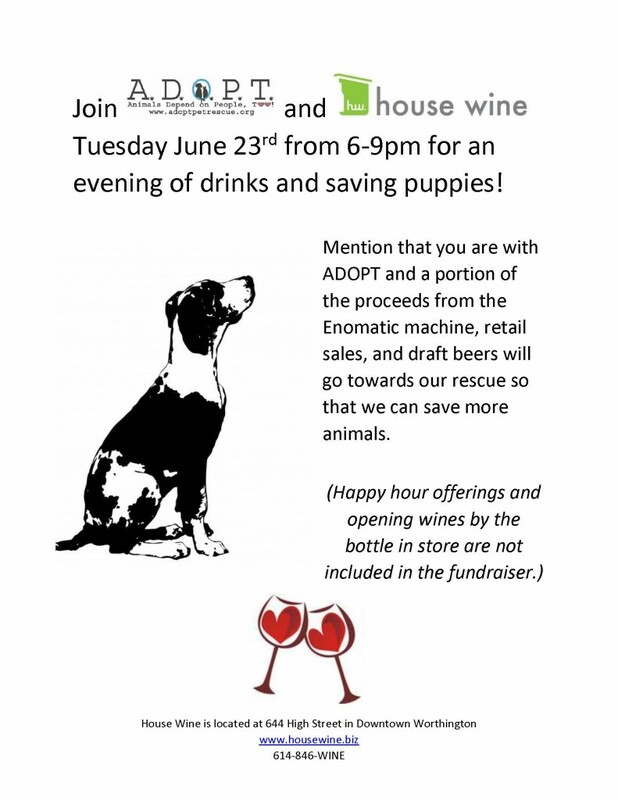 ADOPT will be at House Wine in Worthington from 6-9pm this Tuesday for a night of wine and fundraising! Stop by anytime between 6 and 9 and mention that you are there for ADOPT and a portion of your sale will go back to ADOPT – it’s that simple! It’s a great cause and sure to be a great time! ADOPT is officially a Kroger Community Rewards member, which means you can make your visits to Kroger count for more! All you need to do is enroll your Kroger Plus card and ADOPT will receive a percentage of what you spend at Kroger. Enrolling is easy, just follow the steps below!